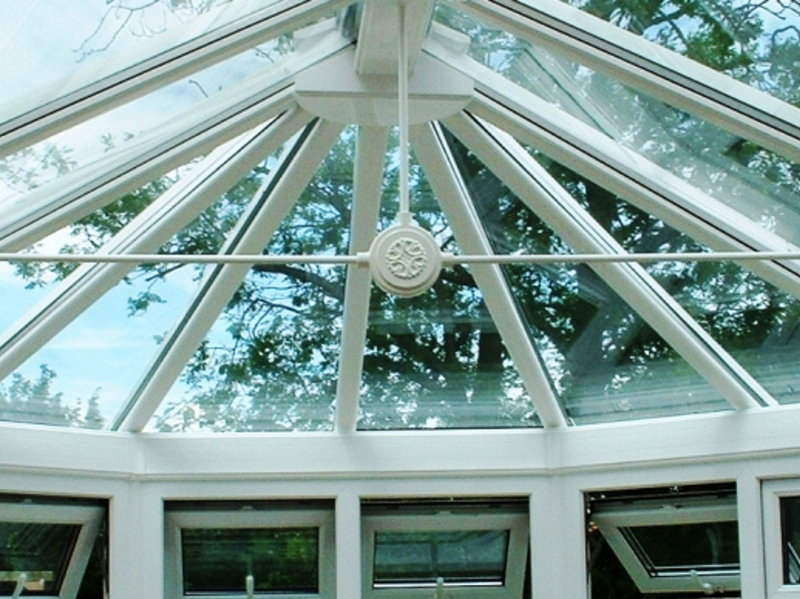 SBI can supply and install all types products to help with Conservatory Cooling in . We can offer you impartial advice on types of internal conservatory blinds, external motorised conservatory awnings, sail shades, solar window films and Solar Inserts. A very important part of choosing the correct product to help with Conservatory Cooling is your budget. 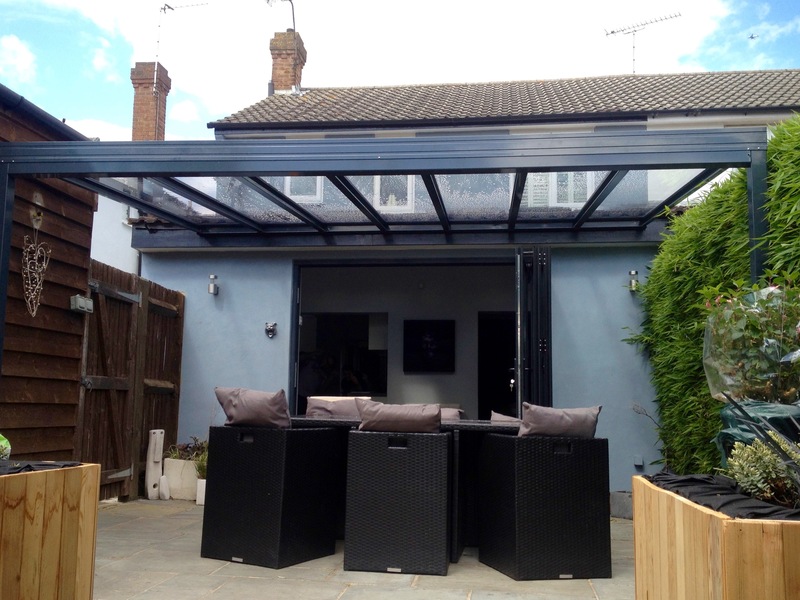 If you were prepared to spend a few thousand pounds then we would normally recommend an external motorised conservatory awning, dependant on the style of conservatory roof that you have. 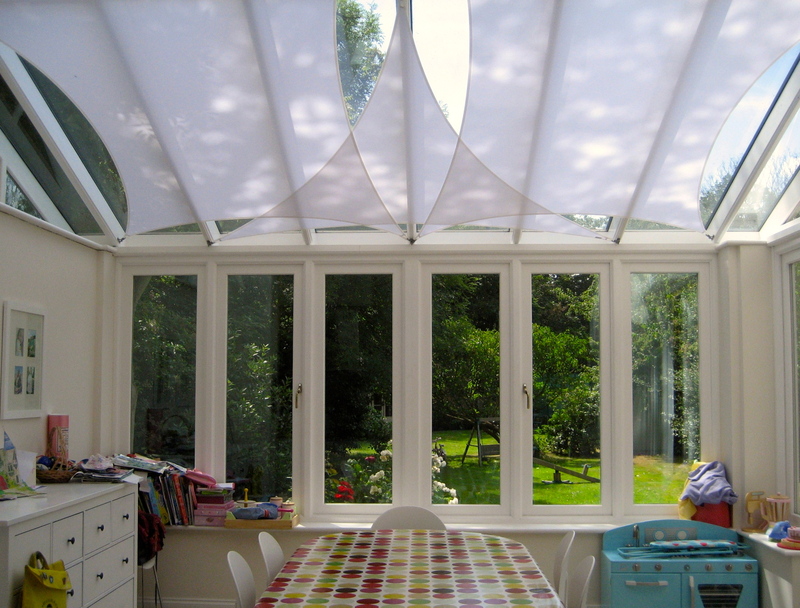 Internal pleated or roller blinds used in the roof to reduce glare and heat are not that practical as the heat has already entered the conservatory so its heated up. The other down side with inside blinds is that they get dusty and collect insects. You are then left with the problem of how to remove the blinds and can you clean them. If you can’t or don’t want the expense of an external awning we would recommend a combination of solar reflective sail shade as they can simply be removed when not required and they are machine washable. Along with solar conservatory film or solar inserts depending on the type of glazing you have. 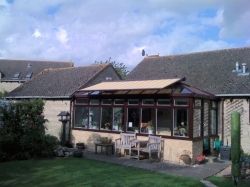 Solar Films and Solar Inserts are maintenance free unlike conventional conservatory blinds. The inserts will not need cleaning, will not fade, will not gather dust and require no aftercare or servicing. Over 80% of solar energy is dissipated back in to the atmosphere; reducing glare and heat build up during the summer months of the year. The reverse happens in the winter as the solar inserts act as a thermal blanket reducing heat loss through the roof from radiated heat saving you money on fuel costs. SBI offer you a complete free of charge home consultation service where we will measure up and show you samples of all of the available Conservatory Cooling products. Call us now for a free estimate for Conservatory Cooling products in on 0800 0742 721 or email sbi.install@btinternet.com for a competitive quote.